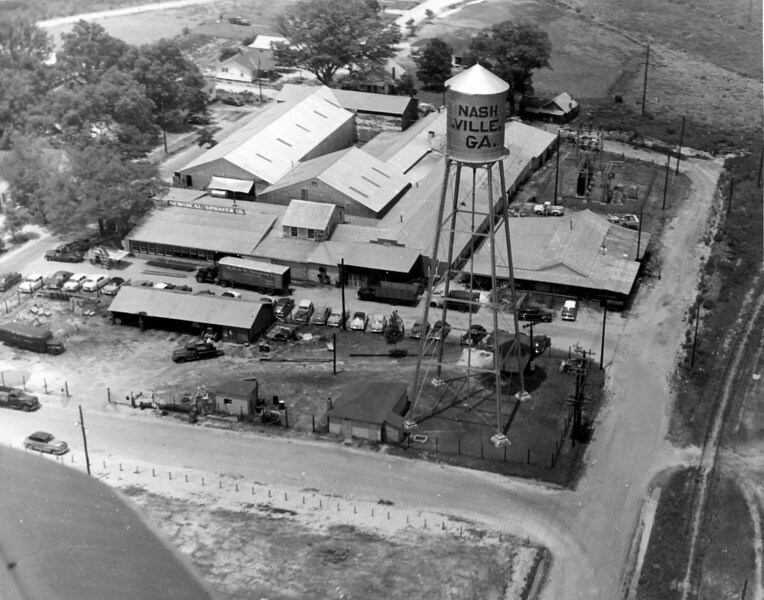 NewIdeal Sprayer Company from the air, about 1955. Also commonly referred to as the Tygart Sprayer Company, manufacturer of farm equipment. Also in the photo is the City Works. Note the Nashville to Sparks railroad bed in the lower right side of photo. Photo courtesy of Ann Tygart Jones.